The perfect booster for when “XL” is not XL enough anymore, PRO-XL presents BLOOM XXL. This extremely potent bloom stimulator contributes to an XXL flower formation with a drastic increase of active essential oils. 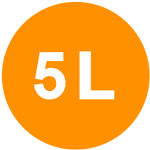 To be used from the first week of the flowering stage, together with your basic nutrients, BLOOM A & B, QUICK BOOST and later FLORA EXPLODER until the penultimate week. 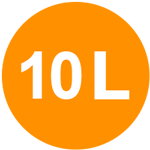 EC levels of the water can go up from 0,1 to 0,2 in reference to the in the cultivating schedule mentioned without BLOOM XXL. 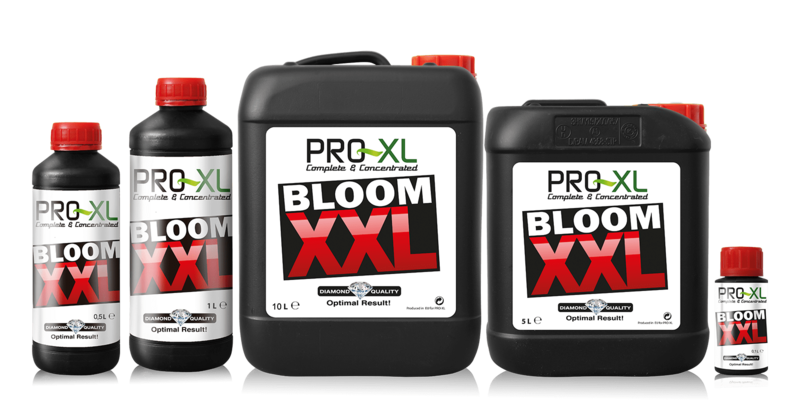 BLOOM XXL is an absolute recommendation for when the plant is in perfect conditions. When the leaves have the right shape with this nice colour green, that’s when you know that your plant it is almost asking for it. Excellent for everyone who is in search for the xxtreme flower: fuller, harder and with more essential oils. 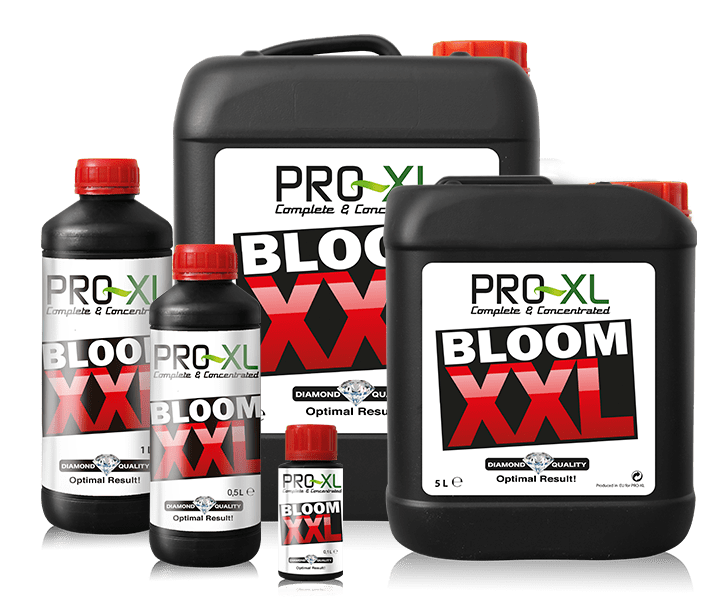 BLOOM XXL supplement specifically for the flowering stage. Contains the ideal mix of potassium, phosphorus, iron and other trace elements that provide an optimal flower formation. 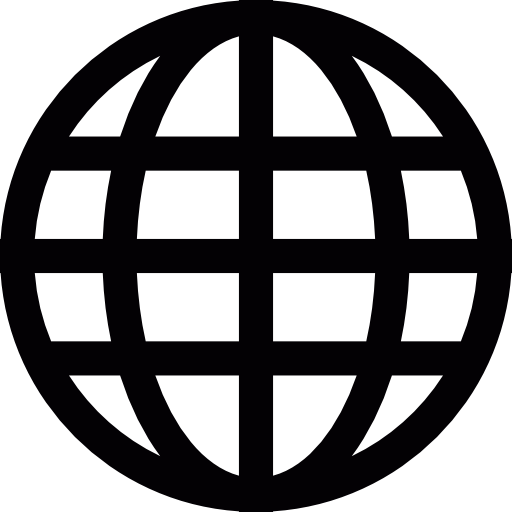 Better development creates better results and improved resistance to fungi and pets. The specific composition of BLOOM XXL ensures that the available energy in the plant as much as possible is used for the development of the flower: the so-called sink-strength. As a result, the most optimum flowering is realized. Add from week 3 (flowering stage), except the last week1¡3 tomes a weekm adding with pro-xl nutrients. 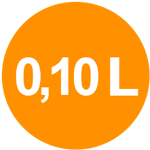 Minimal addition: 0,75 ml per 1 liter. Normal addition: 1 ml per 1 liter. Extra addition: 2 ml per 1 liter.